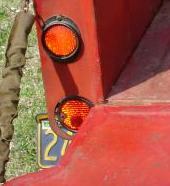 Bantam used The Arrow Safety Company tail lamp on the T3-C utility trailer. 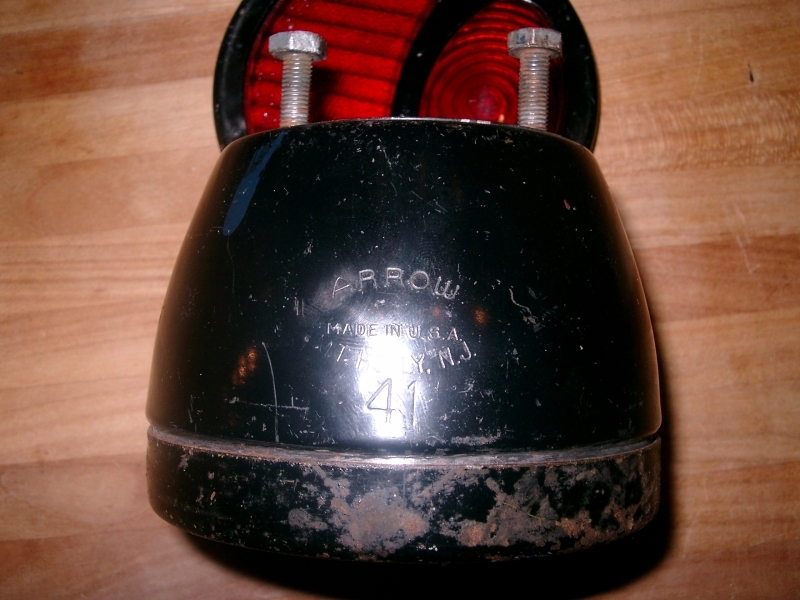 I have a theory that a second model Arrow lamp was used some time in later production of the T3-C trailer and solicit photos and serial numbers to determine an approximate range when this change occurred. 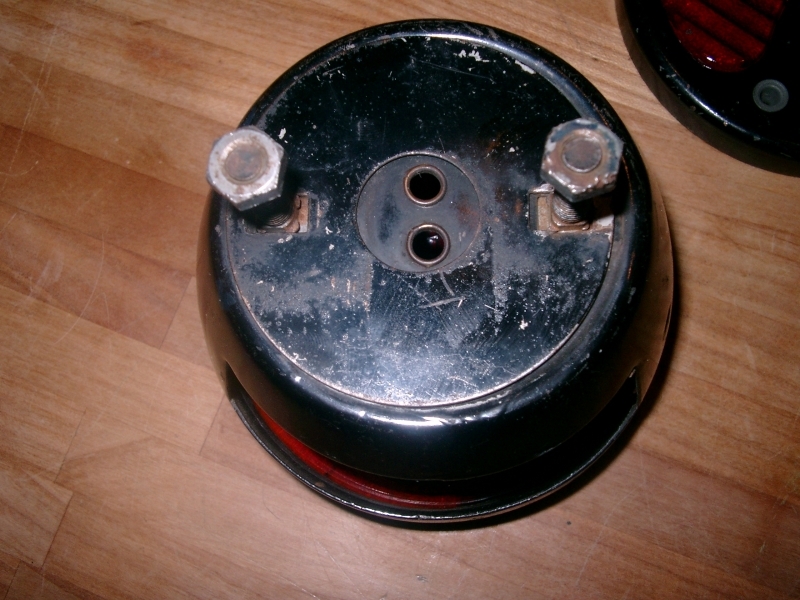 I'm also seeking a photo of the two prong vehicle connectors used on the trailer. 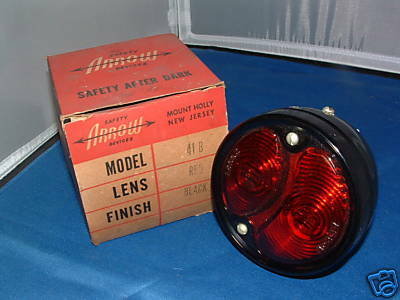 This is the Arrow 7341 lamp lens that I suspect as a replacement some time during production and seen as early as sn 19918. 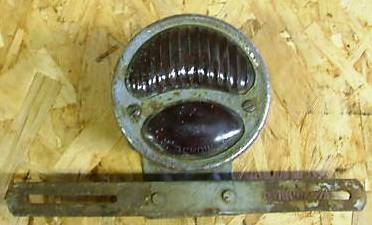 This is an Arrow 4124 license plate bracket from sn 1291. 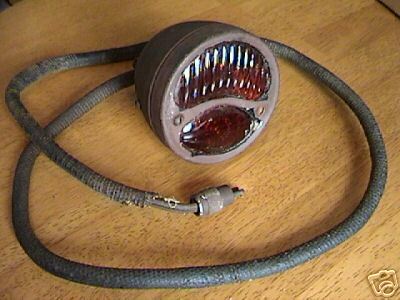 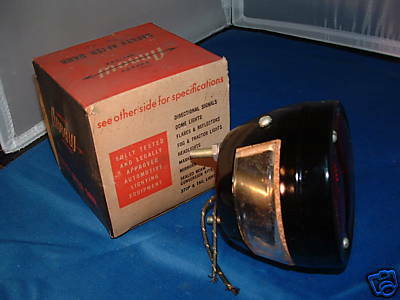 This is an NOS Arrow lamp as seen on eBay but of a different style lens. 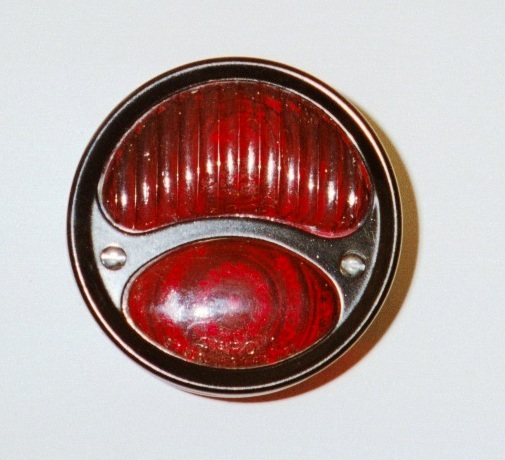 Original Trailer to Vehicle Plug??? 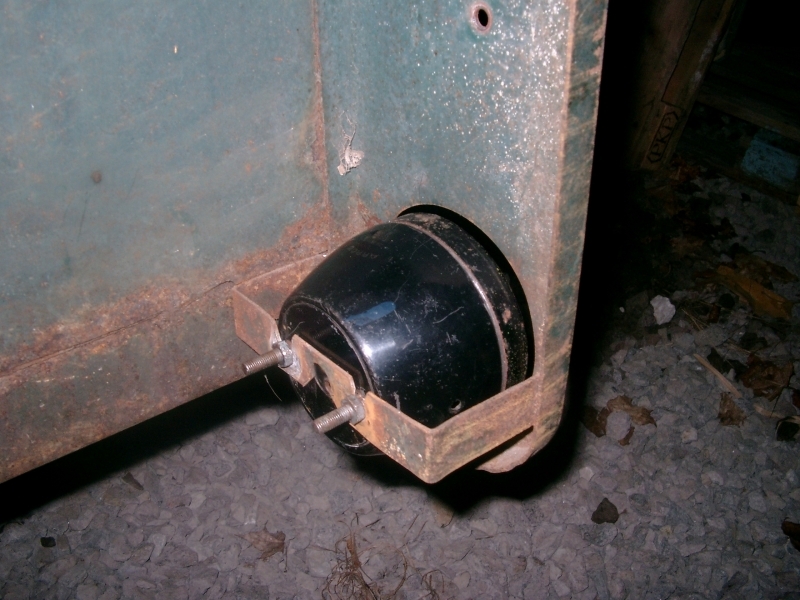 Dave Danmeier of California sent me these pictures of the trailer plug on his trailer...does anyone else have one of these or seen it before?